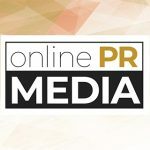 Online PR News – 14-April-2012 – Los Angeles – Los Angeles, CA – The deeply inspiring video is what's driving people from across the globe (www.ProjectForgive.com). Popular speakers and teachers such as Marianne Williamson, Jack Canfield of the Chicken Soup fame, and Foster Child turned Best-Selling Author and Advocate Elle Febbo, are endorsing the 5-minute video that's drawing all the attention. In the last week, the project has received thousands and thousands of emails and social media posts, as well as national US media. One US story in the Detroit Free Press generated 11-thousand emails alone. Project Forgive by six time Emmy award winning producer Shawne Duperon examines the act of forgiveness through the life changing experience of long time friend Gary Weinstein, whose wife and two sons were killed by a drunk driver. In a tragic twist of irony, it was another long time friend of Duperon’s who was the inebriated driver that took Weinstein’s family. “Here’s the dilemma: on one hand you have Tom who caused a horrific accident and horrific pain. On the other hand you have Tom, our family friend, who’s also an amazing, loving human being,” says Duperon. “How do we hold these conflicting emotions in our heart at the same time? Well, this is where the shift occurs, this is where the breakthroughs happen." Perhaps no one can better demonstrate that then Weinstein himself. “Tom asked me if I could forgive him; I replied can you forgive yourself?” he recalls with compassion, who also notes this experience has called him into action – to demonstrate forgiveness on a global scale. Weinstein was the inspiration for Duperon’s documentary, which will include stories and experiences from celebrities to everyday people in the community. At the forefront of the forgiveness movement is Calgarian Teresa de Grosbois of the Evolutionary Business Council. The viral momentum of Project Forgive launched through her elite membership of global business leaders and they are just getting started. Relying predominately on social media, de Grosbois and Duperon created the film campaign through kickstarter, a crowd funding website for creative projects, to make this project a full-scale theatrical release without content constraints from Hollywood backers. For more information or to view the video, visit www.projectforgive.com. Elle Febbo is an accomplished author, international journalist, national speaker, personal and professional writing coach and social advocate. She is also a member of the National Writers Union. She has been a leader in Business and Social Charities since 2003, with appearances on radio, television, and from stages. Elle lives in Los Angeles with her family. She strives to shed light on the power of Love, Compassion, and Uniting for Purpose, advocating a commitment to the betterment of all, starting with our youth. She passionately inspires the masses to live and work from the heart for a more rewarding, and spiritually accomplished life experience. Also from Febbo Media, LLC. The Perfect Combo Celebrates Big Success!